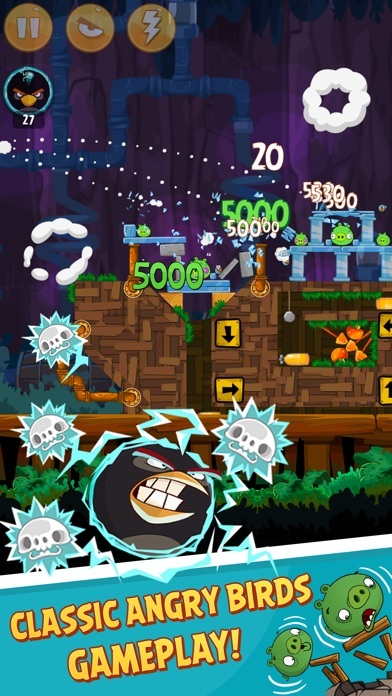 Take control of the destiny of the Angry Birds by helping them destroy the evil green pigs that have stolen all of their eggs. This is an epic tale of evil vs. angry. 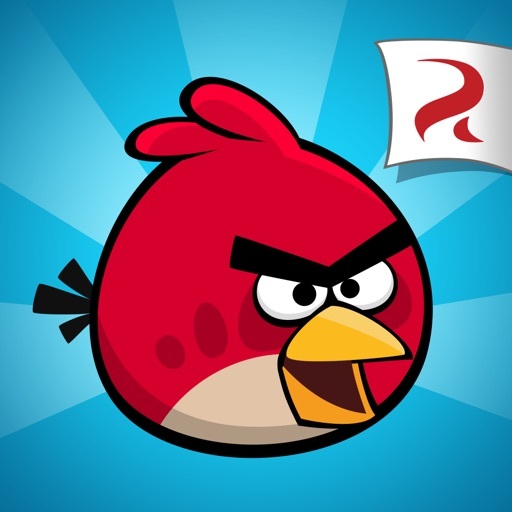 The Angry Birds have a variety of different tools that they can use to rid themselves of these green swine. Use the destructive capabilities of the birds to destroy the pig’s fortresses are regain control of their bird posterity. 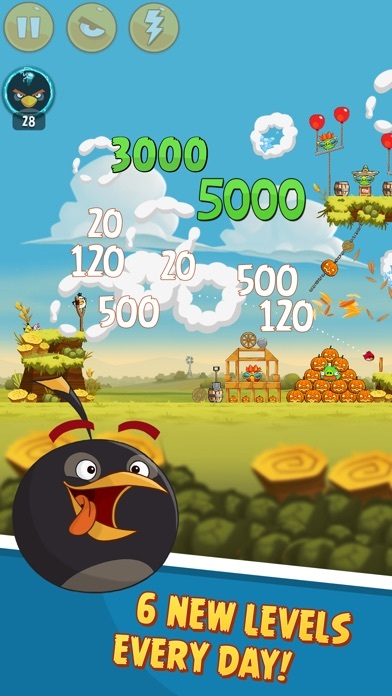 The pigs have made the Angry Birds even angrier, and there is no making amends for it. In order to preserve the survival of these finches t is up to you to save the eggs and restore peace to the skies! 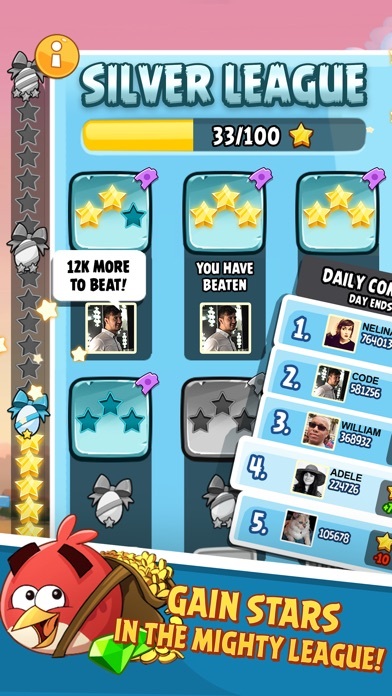 The Angry Birds iPhone app is full of hours of addictive gameplay and you will find yourself playing every chance that you get. 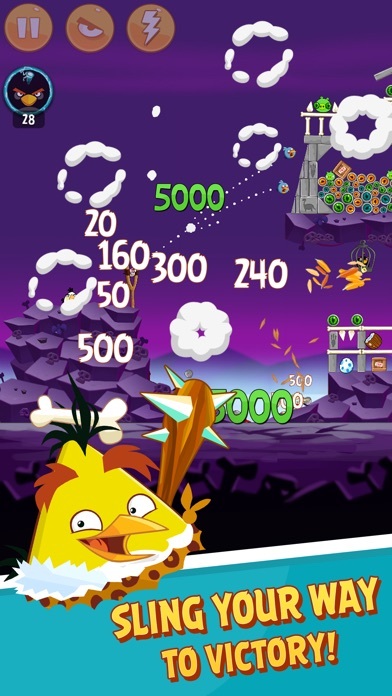 The game is full of castle and fortress destruction and the game uses physics-based destruction technology to challenge your wit and your fingers. The replay value of this game is amazing and you it will probably remain one of your favorite apps for months. There are over 105 different levels to play on and you will be amazed by the different environments and castles that you are asked to tackle. It will take skill, logic, and just sheer power to completely rid yourself of the green pigs and their imminent threat. One of the more enjoyable iPhone apps out there right now. Has a very fun and interesting storyline, which is borderline ridiculous, but it makes it that much more fun. 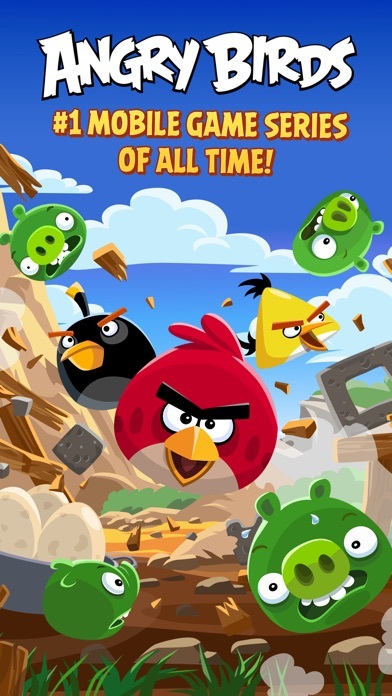 Take control of angry fowl and destroy green pigs. Doesn’t get much better than that. The destructive modes are rather quite fun and bring out the angry side in you. It’s probably better to take out your app rage on a horde of green pigs than your friends or family so I think this game is completely worth the money. Go out and destroy some pig fortresses today. Voted 4 1/2 stars by iPhone app users and runs for around $0.99.